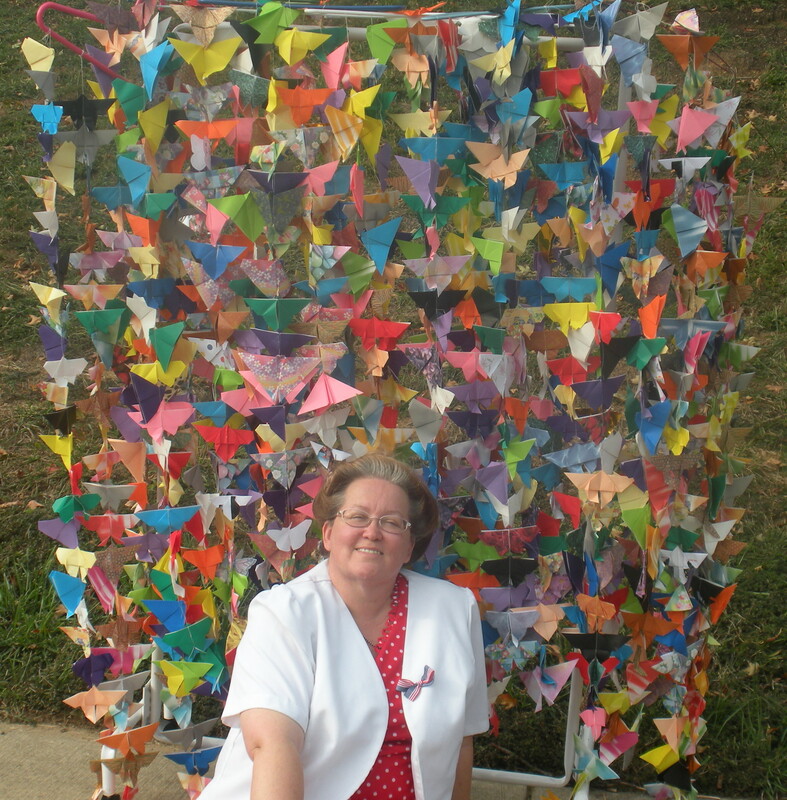 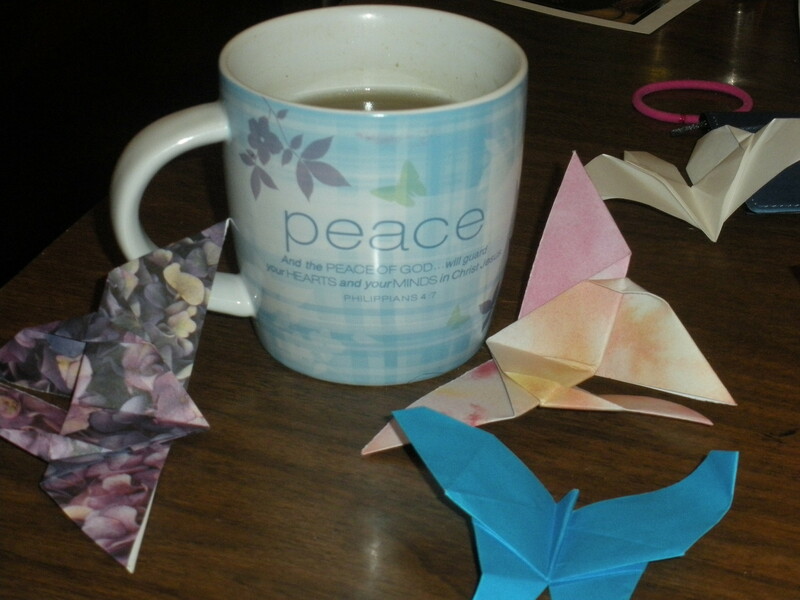 For the World Lupus Day 2010 update, JoAnn Abbott embarked on a pretty ambition set of projects. 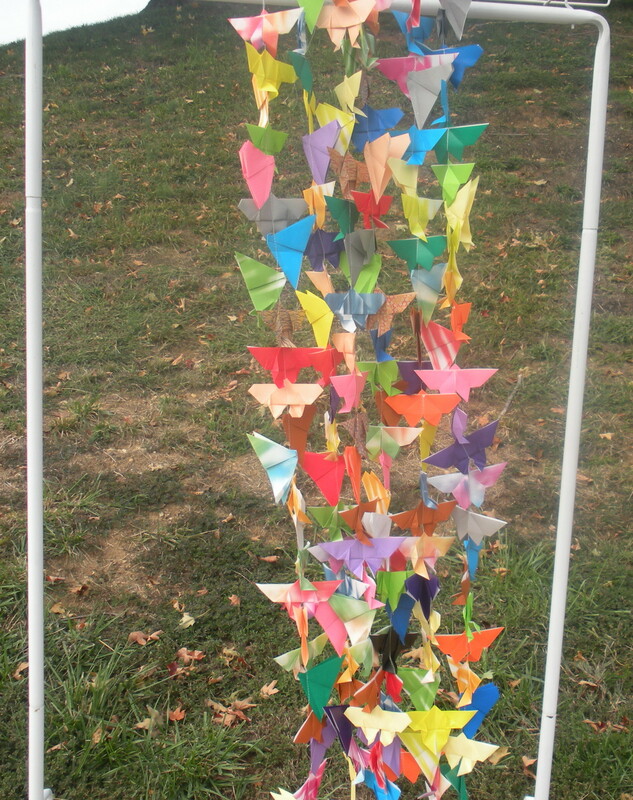 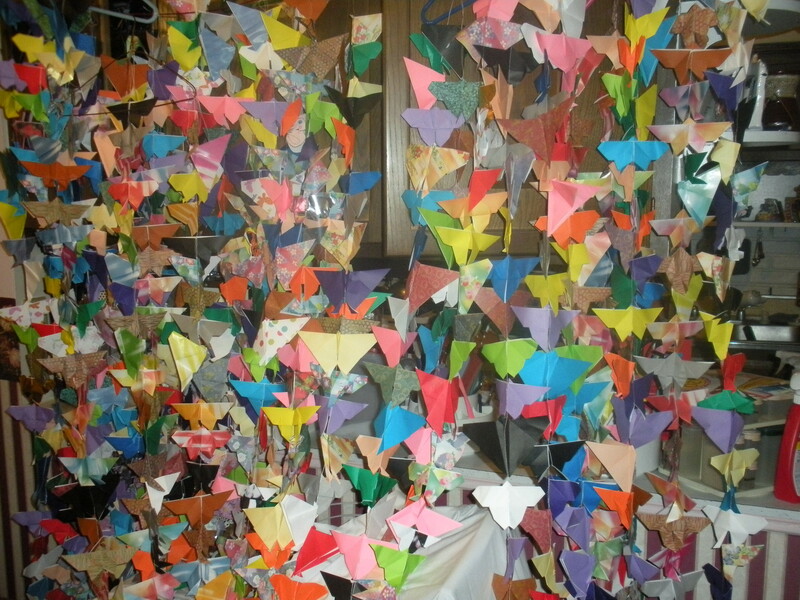 She suggested both the 1000 Paper Butterflies project and the Butterfly Curtains projects. 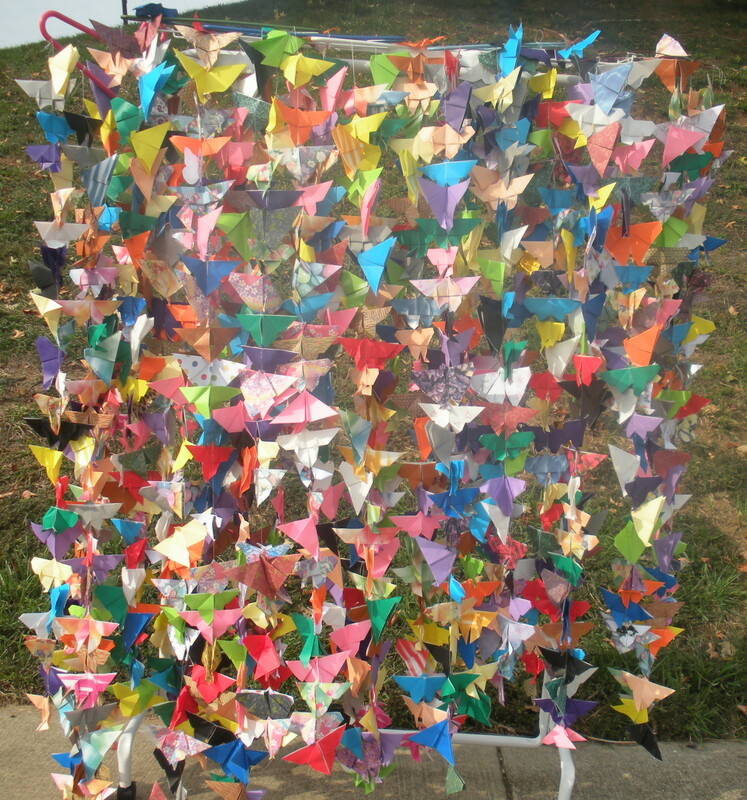 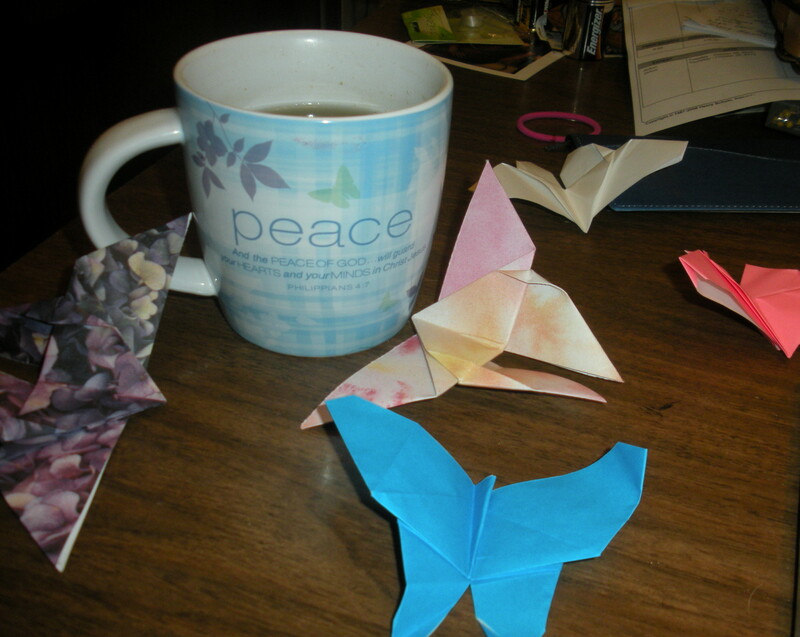 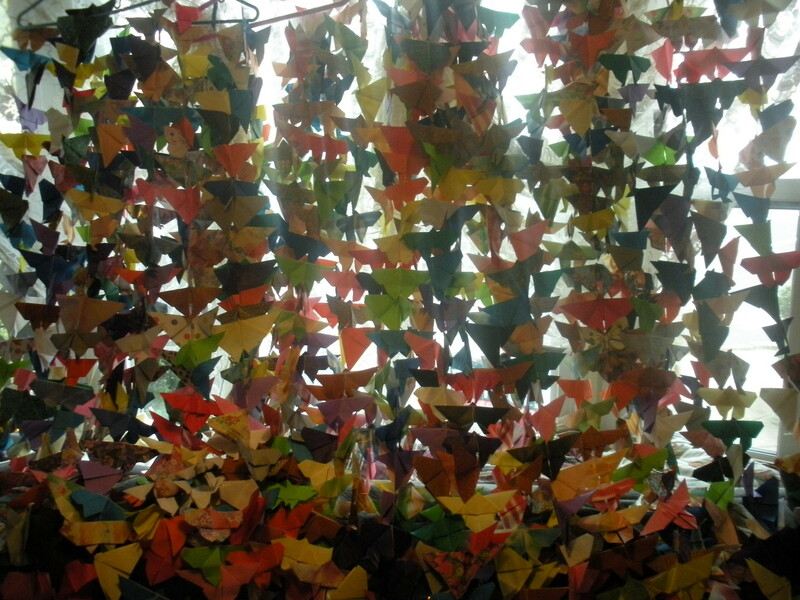 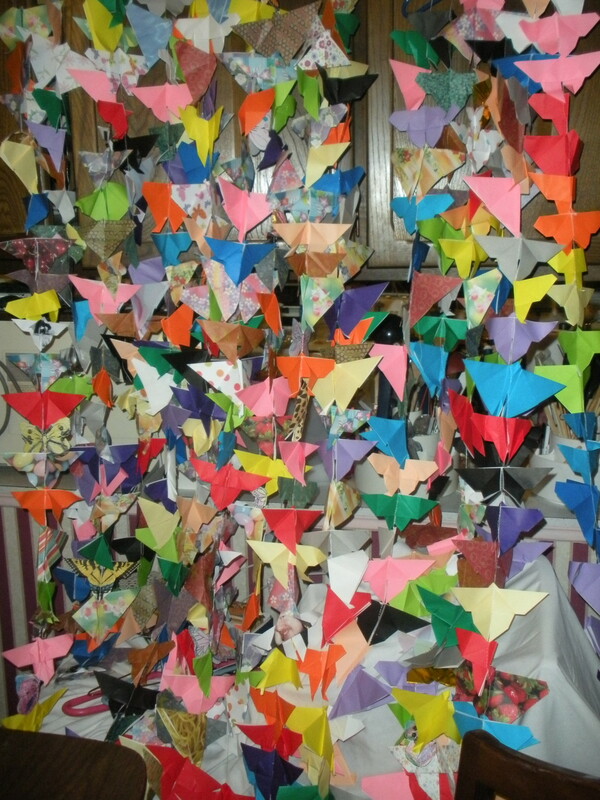 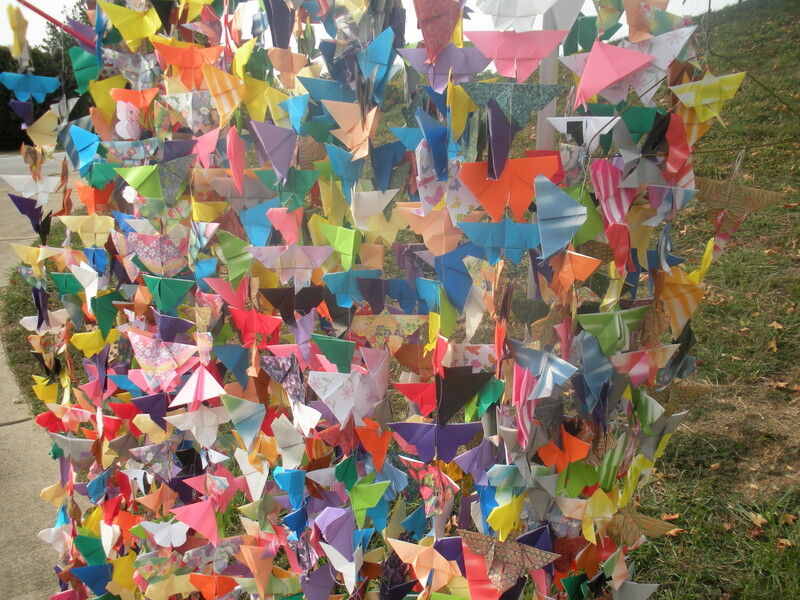 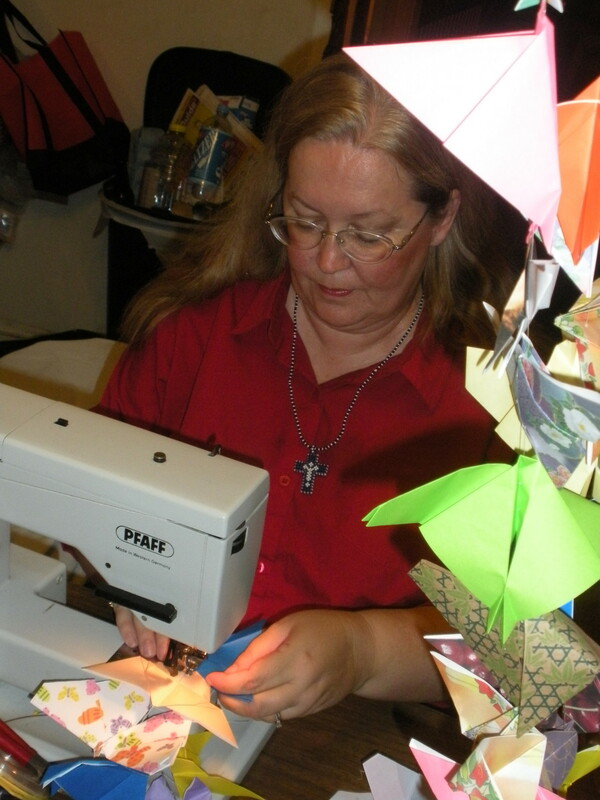 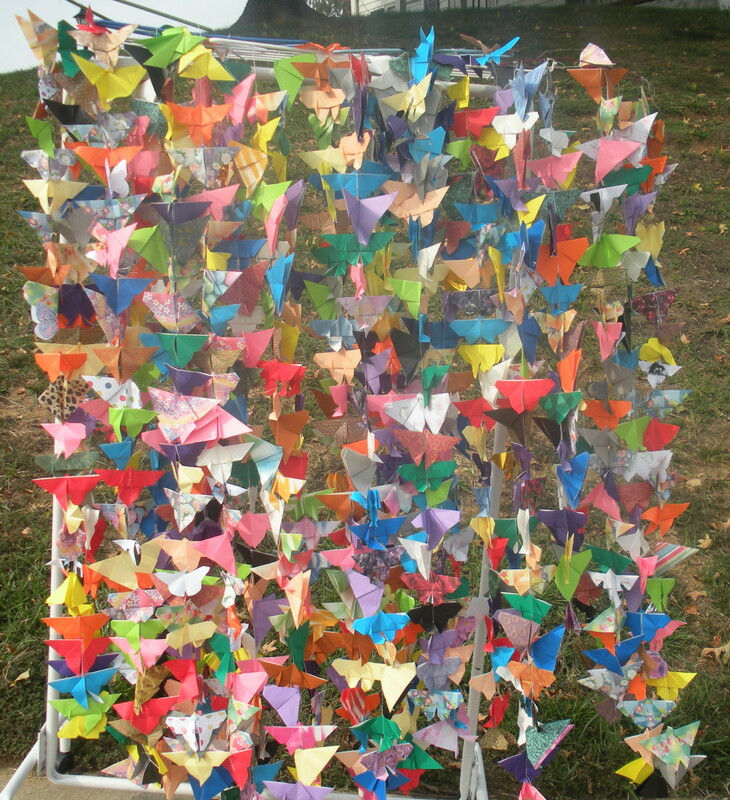 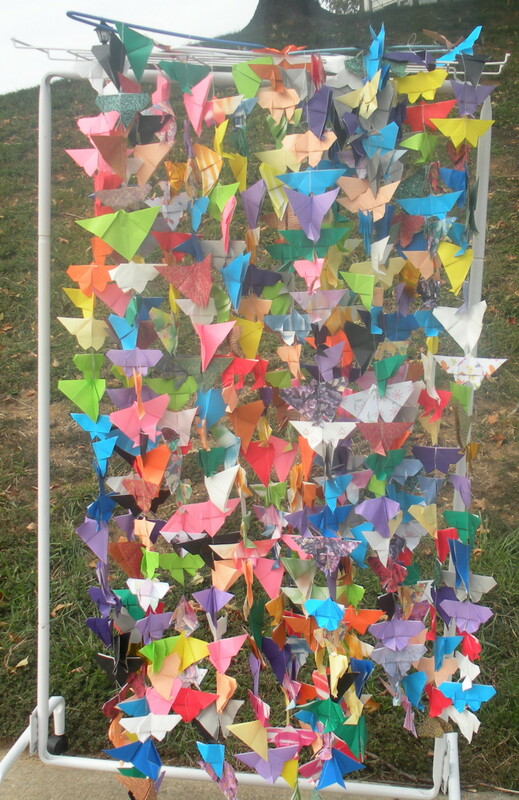 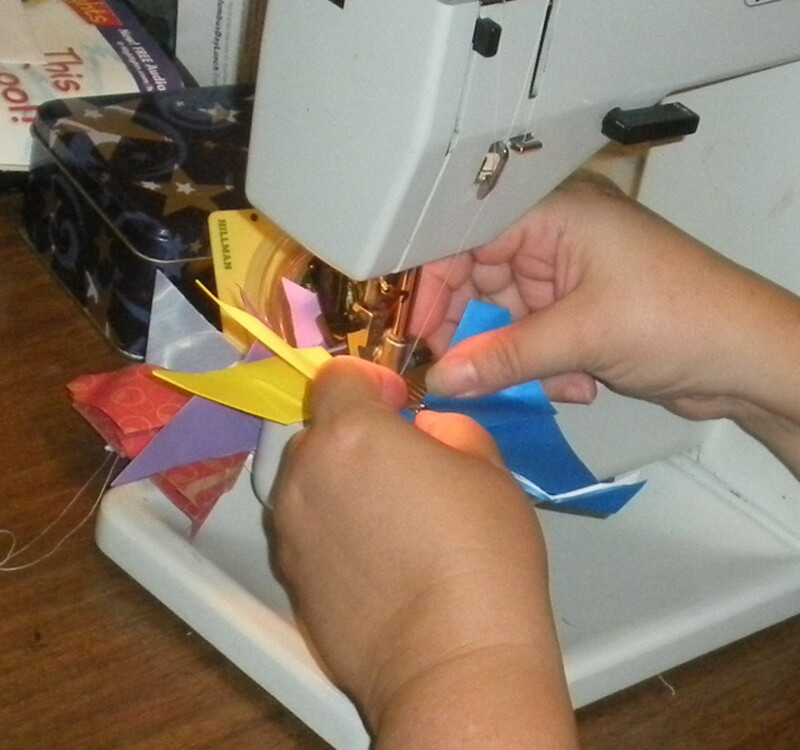 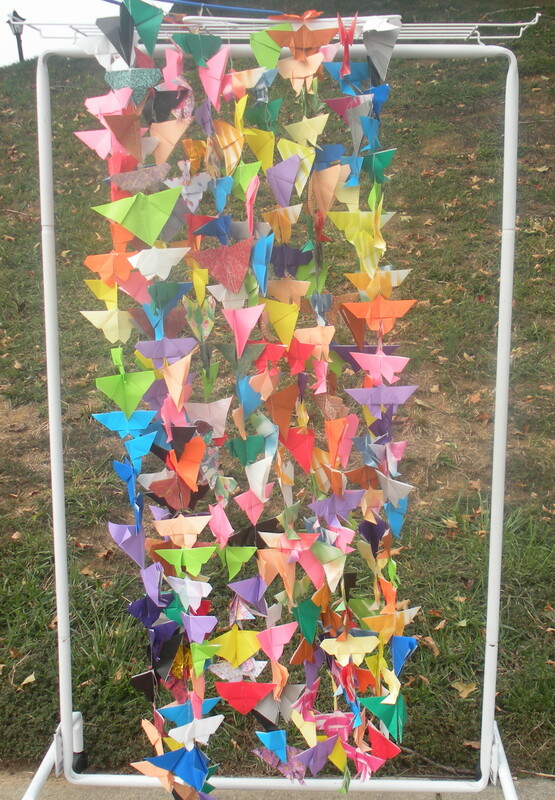 She began creating these paper butterflies, which would later be turned into curtains in April. 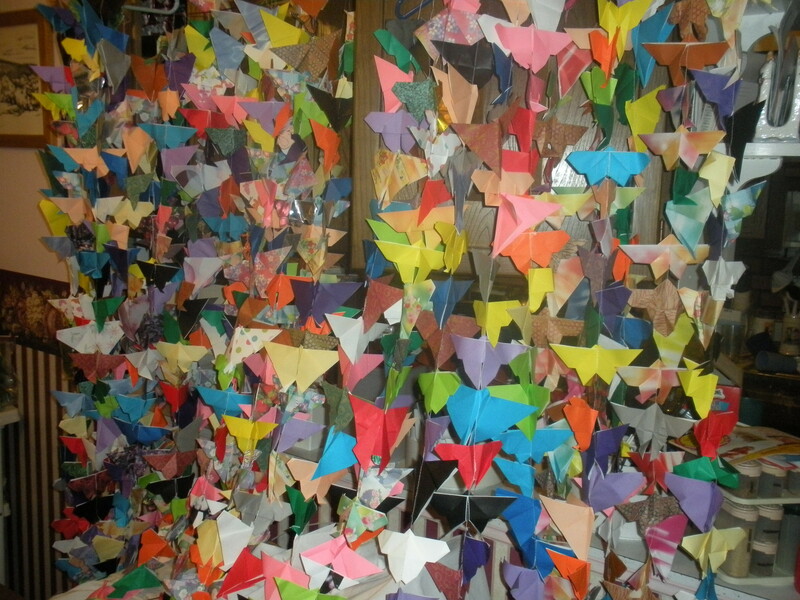 She was hoping to have them finished for the World Lupus Day 2010 update, however folding the majority of 1000 paper butterflies on your own is not easy task. 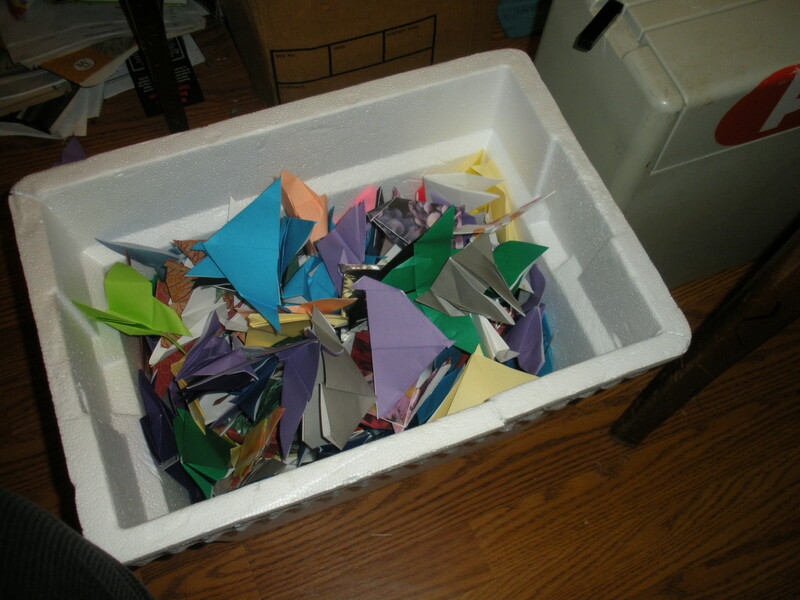 Well this task is now complete. 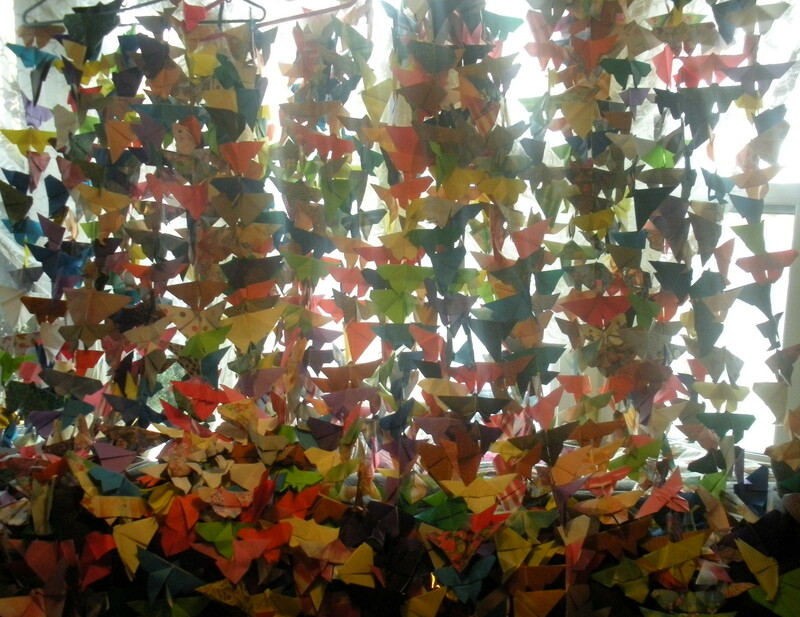 These curtains comprise of: 40 strings, 25 butterflies per string, 7 coat hangers with 6 strings per coat hanger and 1 coat hanger containing 4 strings. 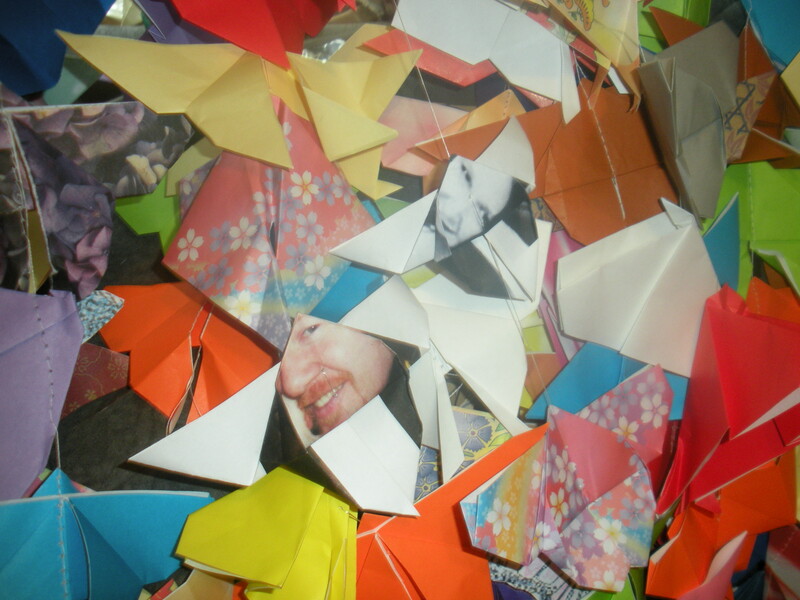 The finished result is amazing. 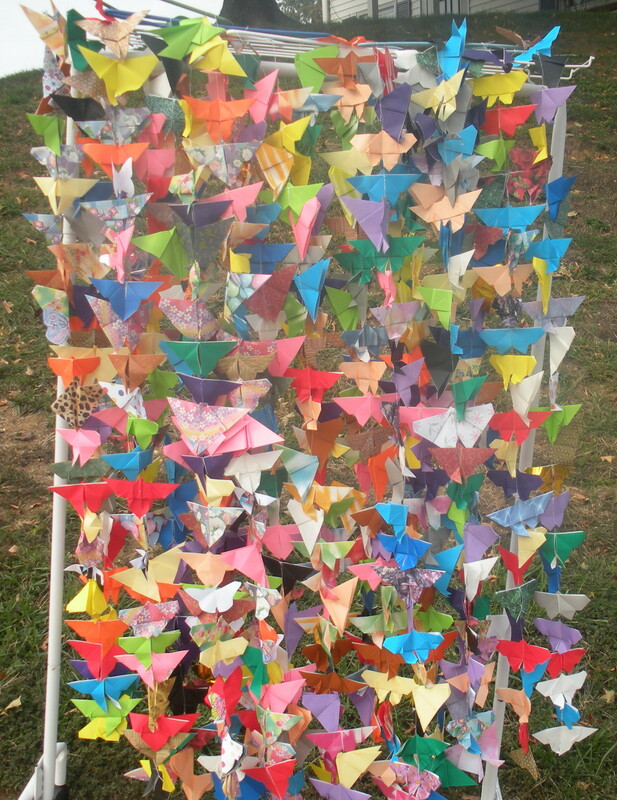 Click on each of the thumbnails to view. 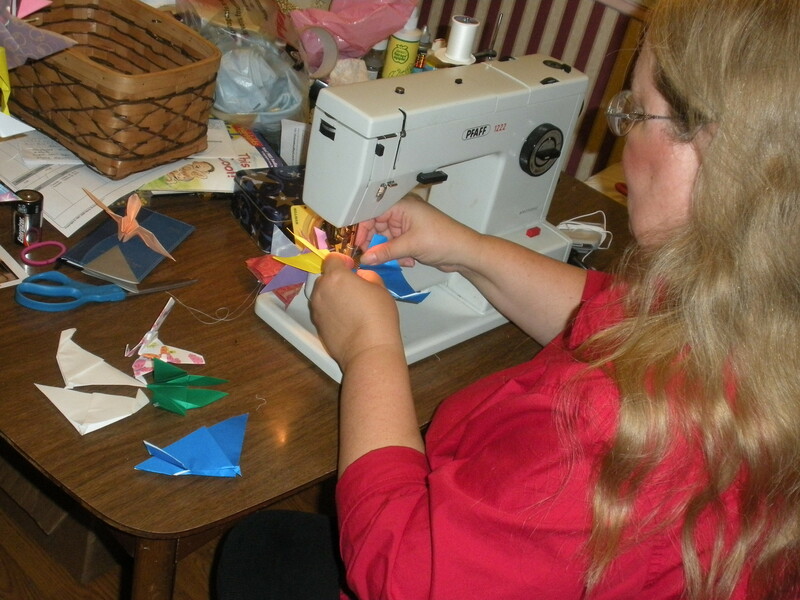 Wow JoAnn, that is really impressive, and pretty! 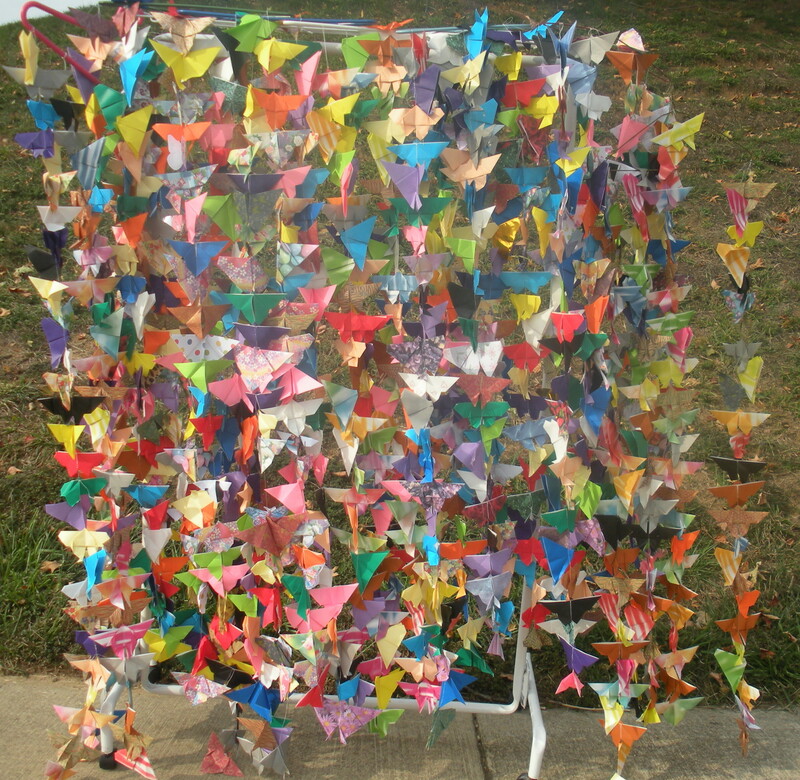 Congrats on finishing all those butterflies!